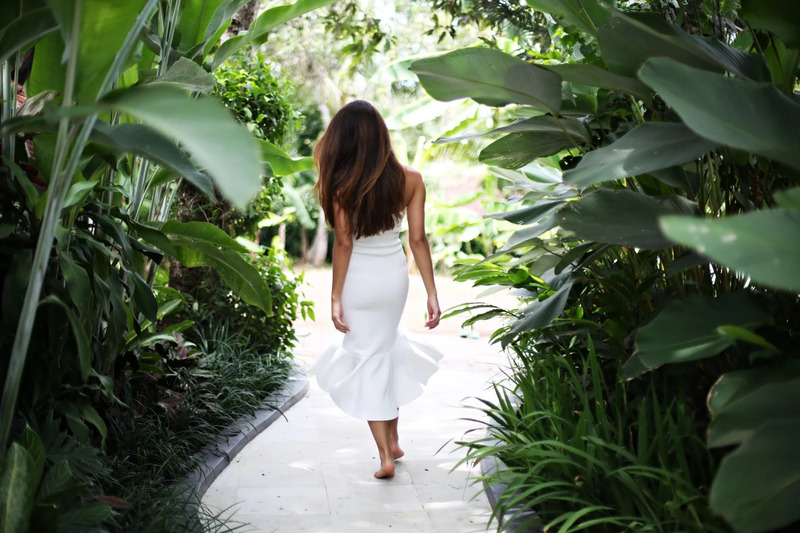 This dress though... Running around like a little jungle mermaid and twirling around the big green leaves. The photos are taken from the big entrance to La Balian retreat, where we stayed for 2 nights. Feeling so close to nature here, no need for shoes or anything. Seriously need to get some plants like this to the studio, like a big monstera plant or something, the structure of the gigantic green leaves are just so pretty. We had the beach a short ride with the car from the retreat, which we visited. We had some lunch there and were ready to shoot some photos there, but it started to pour rain all of a sudden. The weather can turn around so fast in Bali during wet season!